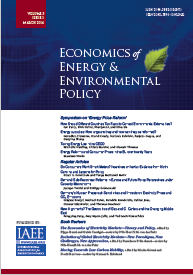 IAEE Members and subscribers to Economics of Energy & Environmental Policy : Please log in to access the full text article. Researchers and professional evaluators are increasingly turning to randomized field experiments to evaluate energy efficiency programs and policies. This article provides a brief overview of several experimental methods and discusses their application to energy efficiency programs. We highlight experimental designs, such as randomized encouragement and recruit-and-deny, that are particularly well suited for situations where participation cannot be enforced. The article then discusses several implementation issues that can arise and characterizes applications that are a good fit for a randomized experiment. We also address the most common objections to field experiments, and share the best practices to consider when designing and implementing a field experiment in this space. Reference information is available for this article. Join IAEE or purchase the article to view reference data. Published in Volume 5, Number 2 of The Quarterly Journal of the IAEE's Energy Economics Education Foundation.